My Nonno Salvatore, my mothers dad loved these eggs. The way my nonna made them for him was to sauté scallions then crack a couple eggs on top sunny side up. If the yolk broke, he would be very upset! I have tried them both ways and prefer the scrambled. Try them for yourself; let me know which one you prefer. 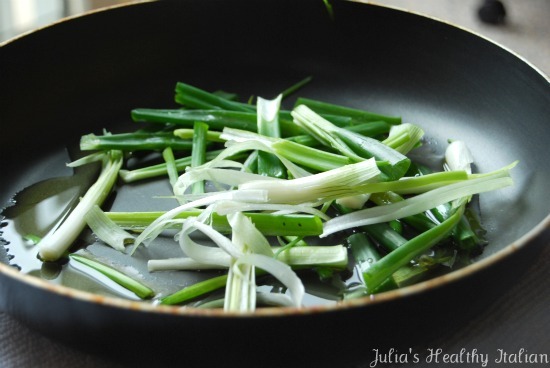 In a medium skillet sauté scallions in oil for about 3 minutes or until wilted. 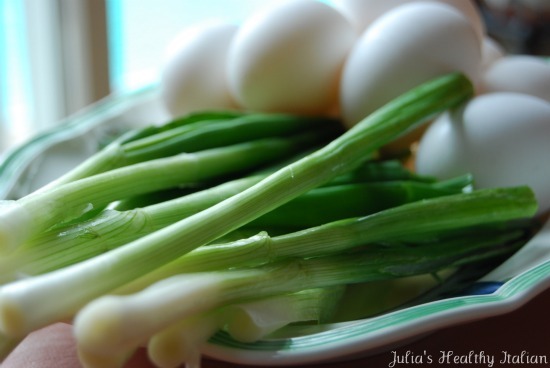 Add eggs on top of scallions. 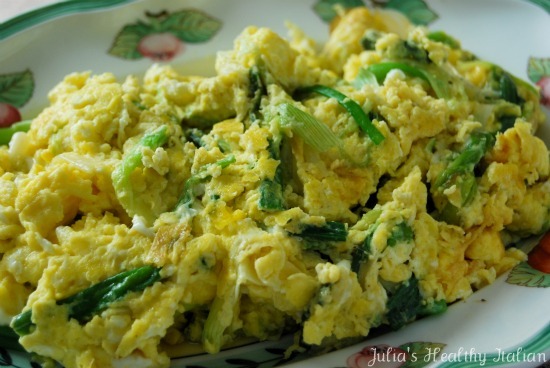 Scramble the eggs and scallions until cooked. I love scallions in my eggs. In Colombia the typical breakfast is huevos pericos which is scrambled eggs with scallions and tomatoes. Try it next time, it's delicious!